Derek Hatton has withdrawn his application to rejoin Labour, a party spokesman has confirmed. The former deputy leader of Liverpool City Council was only readmitted last month, more than 30 years after he was expelled from the party. But he was suspended less than 48 hours later over a 2012 tweet. 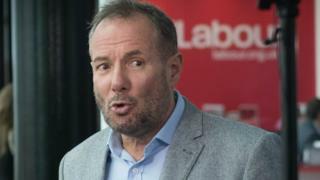 The Labour Party spokesman said: "Derek Hatton has withdrawn his membership application and is therefore not a member of the Labour Party." Labour's ruling National Executive Committee (NEC) had been due to review Mr Hatton's application on Tuesday. The 2012 tweet saw Mr Hatton urge "Jewish people with any sense of humanity" to condemn Israel's "ruthless murdering". He posted the message during "Operation Pillar of Defence" a week-long offensive by the Israel Defence Forces in Gaza. Mr Hatton was a key figure in Militant, a Trotskyite far-left group that ran Liverpool council in the early 1980s. He was expelled in 1985 after a high-profile battle with Labour's then leader, Neil Kinnock, who accused him and others of seeking to infiltrate and subvert the party.